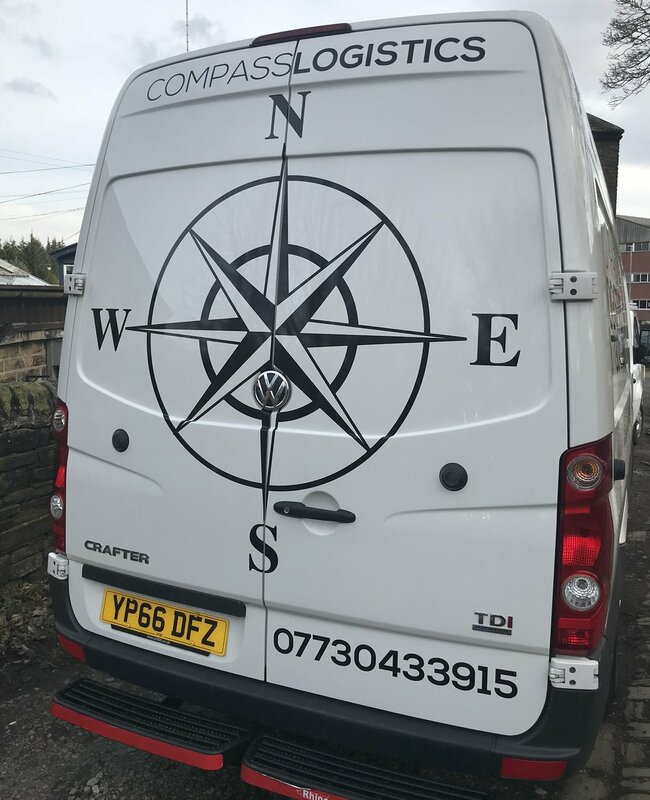 Today we started adding cut vinyl graphics to the vans of Compass Logistics. We received the van for 8am freshly washed and had it all finished for 11am. The clients was over the moon with the end result and we will be getting the next van in at their earliest convenience. Compass Logistics always know the right way to deliver you goods.